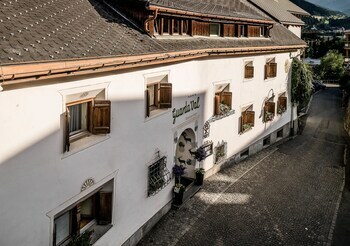 With a stay at Engadiner Boutique-Hotel GuardaVal in Scuol, you'll be in the historical district, just a 1-minute walk from Swiss Alps and 5 minutes by foot from Bogn Engiadina Baths. Featured amenities include a computer station, express check-in, and complimentary newspapers in the lobby. A train station drop-off service is provided at no charge (available on request), and free valet parking is available onsite.